Global Anabolic Winstrol suspension aka Stanazolol serves as a versatile steroid that serves two very good purposes. 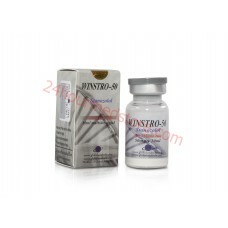 With Winstrol in its injectable form athletes can enjoy a powerful anabolic steroid that can enhance overall athletic performance and power as well as a quality cutting and dieting agent that ensures all of the gains that are achieved on injectable Winstrol are extremely lean and powerful as well. 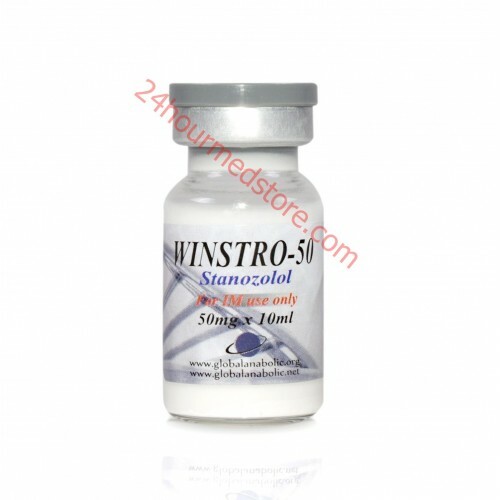 While many steroids only produce anabolic effects in terms of powerful mass, Winstrol helps to produce powerful performance enhancements in the form of extremely lean and sculpted muscles. It's excellent for achieving greater athletic performance, as an off-season bulking drug or to help lean out before a major competition. 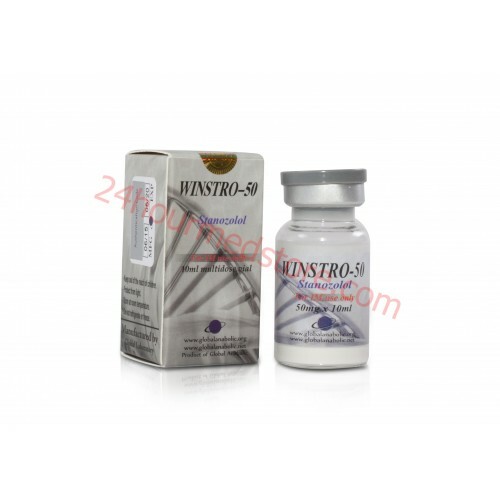 Winstrol can serve pretty much any function that you would ever want a steroid to serve and that makes it one of the most versatile products available. Winstrol speaks for itself it can virtually deliver any type of effects that you want out of it depending on the dosage and the types of dieting or training that you put into it. When you cut back on your diet it's possible that you can see powerful cutting effects during a cycle. You can also use it to experience significant strength gains especially if you are willing to regularly go to the gym throw your cycle. For the ultimate in dieting and cutting however this is the game changer that will help you to eliminate excess body fat even when your fat index is very low. This is what makes it so beneficial to bodybuilders. The doses for Winstrol really vary depending on the types of goals that you would like to accomplish. Small doses of around 50 mg per day can aid with bulking whereas setting out even smaller doses of 20 to 25 mg per day can aid with athletic performance to a small degree. Many athletes even choose to up their dosage to up to 100 mg per day before a major competition to increase cutting phases and hardness of muscles. Short-term cycles for cutting can only last around 10 to 14 days. The standard cycle for athletic improvement generally last around 4 to 6 weeks and you can also stack winstrol with a another oral steroid for maximum results. Proper PCT needs to be put in place to ensure a normalized body chemistry at the end of each cycle with winstrol.